It’s not as slick as some of its competitors, but it will control the humidifiers and dehumidifiers others don’t. 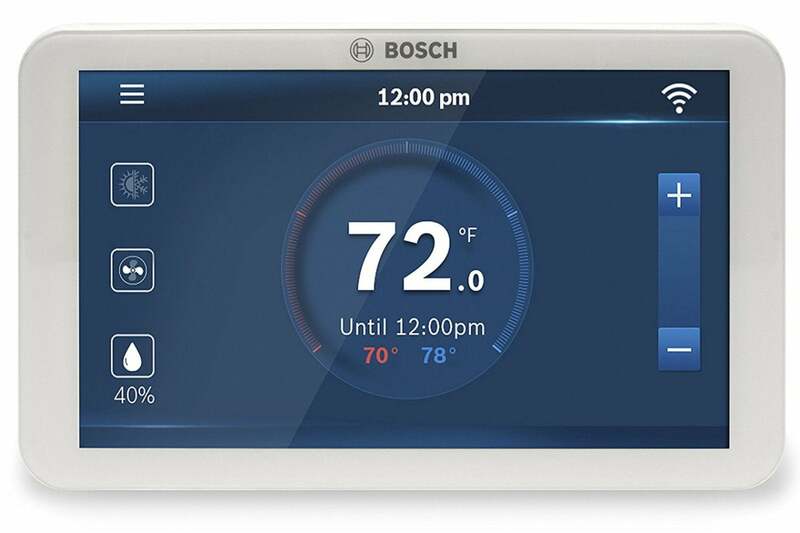 Bosch enters the “budget” smart thermostat market with the impressive Connected Control BCC100, a touchscreen-based thermostat that works great straight out of the box. Bosch has been in the HVAC market for more than a century and—like Honeywell—is looking to reclaim some of the attention that’s been captured by startups such as Ecobee and Nest. This thermostat demonstrates Bosch’s expertise in this space, but also its reluctance to go whole hog into the future. Is the Bosch BCC100 easy to install? The BCC100 is widely compatible with the majority of consumer HVAC systems: gas and electric furnaces, heat pumps, and so on. And unlike Honeywell’s Lyric T5 and the Nest Thermostat E, Bosch’s thermostat can also control humidifiers and dehumidifiers. Wiring the BCC100 is completely straightforward, and Bosch offers an array of how-to videos for installation support. You will need to have a C-wire coming from your HVAC system, however, so upgrading from an older unit could be a complication if yours doesn’t. Check first. I was even more surprised to find that Bosch didn’t build a bubble level into this thermostat’s back panel. This is a handy feature that I’ve come to expect at this price point. Grab a torpedo level before you screw the backplate into the wall (Bosch should have built a bubble level into the plate). A more pleasant surprise is the fact that Bosch doesn’t rely on an app to be functional. The BCC100 comes pre-programmed with a basic schedule. Once it’s installed, you don’t need to touch it or install anything on your smartphone provided your comfort zone is around 70 degrees. Does the Bosch BCC100 have modern features? 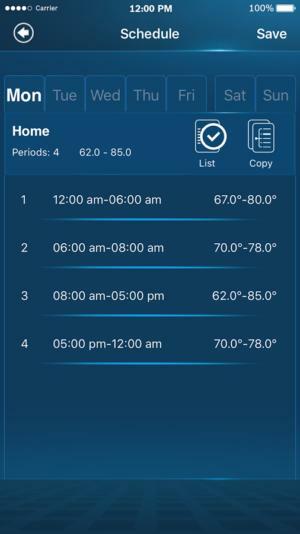 The BCC100’s five-inch touchscreen is bright, sharp, and responsive, but you’re limited to creating two schedules—home and vacation—until you connect the thermostat to your home Wi-Fi network. Once you’ve done that and installed the app on your smartphone or tablet, you can program up to four schedules with as many as eight temperature targets per day. There is, however, no support for geo-fencing that would control heating and controlling based on your physical location (the location of your smartphone, to be more precise). Bosch’s app could be more refined, but it gets the job done. In general, Bosch’s software isn’t among the best I’ve tested. It manages to be both very basic and somewhat unintuitive. On both the app and the touchscreen, for instance, it took me a moment to figure out how to change the target temperature because you must first tap on either the heat or cool icon first. Minor stumbles such as that will confuse people who are already nervous about using a high-tech device. 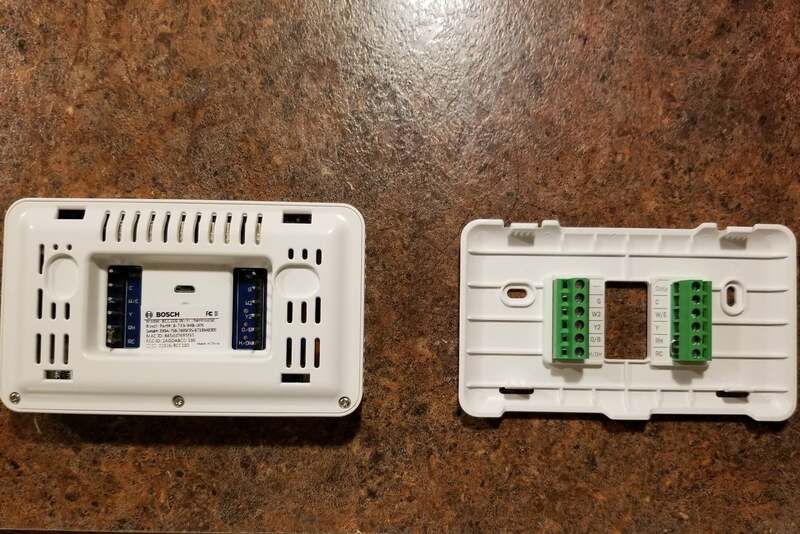 I also found it odd that unlike just about every other connected thermostat in this price range, the BCC100 is not equipped with a motion sensor to wake it up when someone approaches. Its touchscreen goes dark when not in use and you’ll need to tap it if you want to see any information or change its settings without pulling out your smartphone. Finally, Bosch has not yet developed hooks into any smart-home hubs (SmartThings or Wink) or digital assistants (Amazon’s Alexa or the Google Digital Assistant) either, but the company says the latter features are coming. A software/firmware update or two should remedy many of the Bosch BCC100’s shortcomings. I like it quite a lot even with them. It’s easy to use, attractive and informative to look at, and relatively straightforward to program. It’s an easy recommendation for anyone shopping in this price range who needs to control a humidifier or dehumidifier. The BCC100 isn't quite as sophisticated as the competition from players like Honeywell and Nest Labs, but it can control humidifiers and dehumidifiers that the budget models from those manufacturers can't.